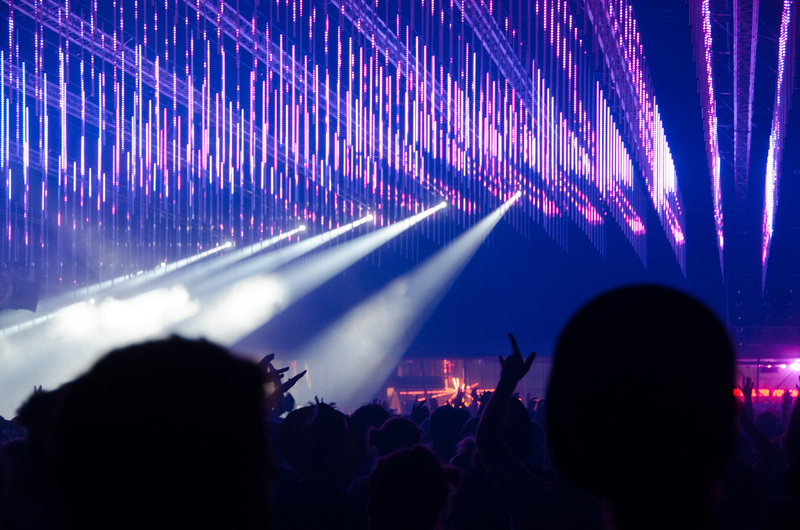 The annual Pukkelpop festival, held at Kiewit near Hasselt, is one of Belgium’s largest alternative music festivals, attracting over 60,000 festival-goers and second in size only to Rock Werchter. This ‘progressive and contemporary’ musical event plays host to around 200 bands on its eight stages over the three-day festival and showcases a wide variety of music that encompasses rock, pop, electronic, dance, hip-hop, punk and heavy metal. 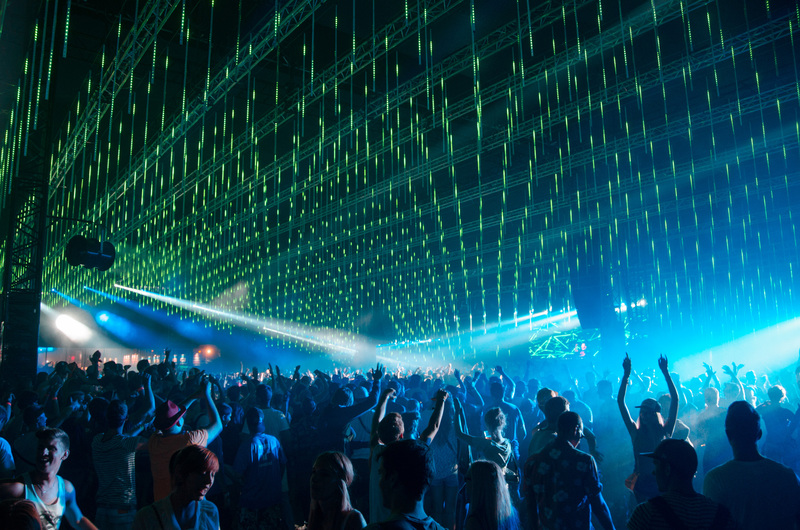 The eclectic line up for 2013 included top artists Eminem, The Prodigy and Nine Inch Nails and world-class DJs including Mark Ronson, The Magician and Boys Noize. 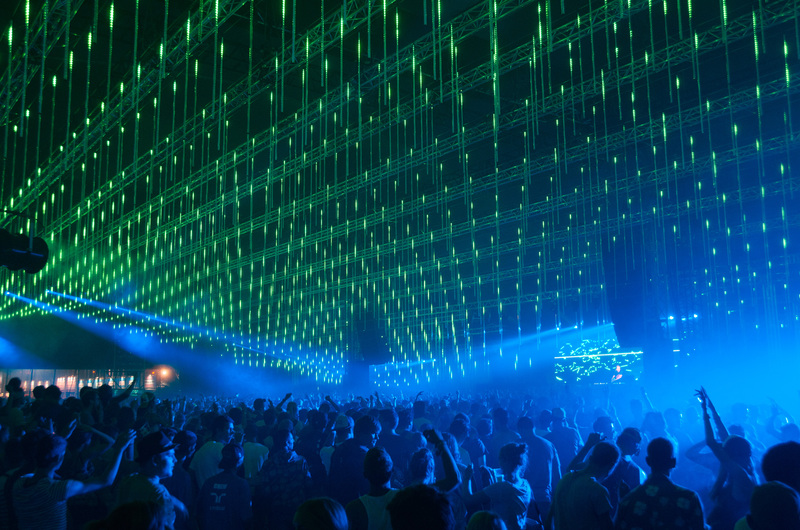 The opening night party to the 28th Pukkelpop was the perfect event for ArKaos, Belgian media server and software manufacturer, to show off the power and versatility of its Stage Server in a spectacular light display created in one of the biggest pixelmapping applications to date. 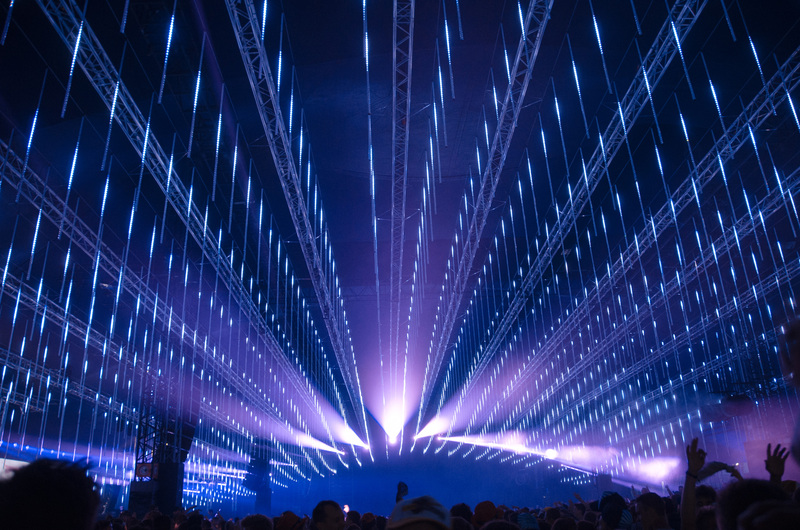 The dramatic ceiling effects were the brainchild of Belgian design company, Arf & Yes, and were brought to life by their lighting designers, Philippe Vanderheeren and Ignace D’haese using 3-dimensional video animation. 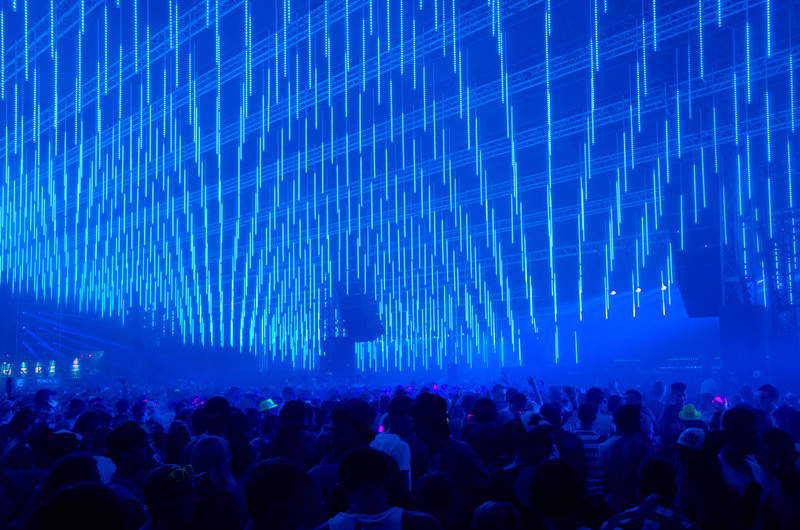 Arf & Yes created what was effectively a huge 3-dimensional video wall using 3,264 SGM LT 200 LED 3D Graphic tubes suspended from the ceiling. 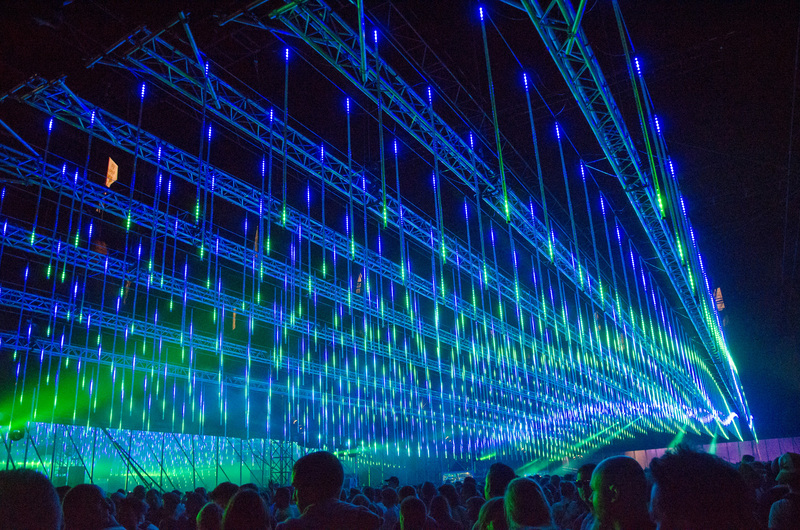 Each SGM LED strip is 2m long, double-sided, with fifty-four RGB LEDs on each side at a pitch of 35mm. 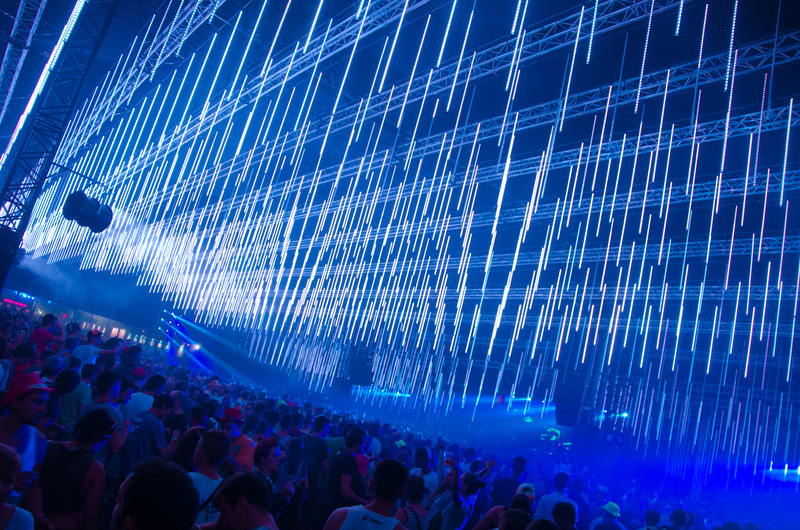 Each pixel can be individually addressed and controlled using DMX/ArtNet. 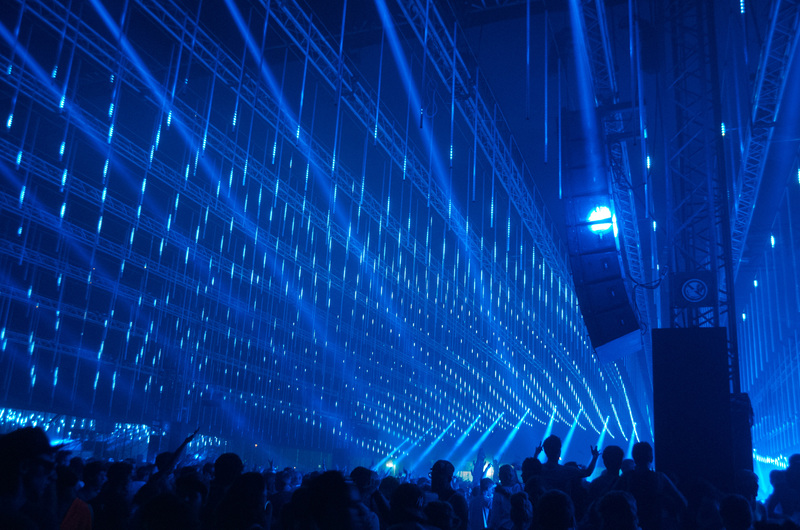 Arf & Yes operator, Timothy De Mets, was able to pixelmap every pixel quickly and easily using three ArKaos Stage Server media servers running ArKaos MediaMaster Pro software in one of the biggest pixelmapping installations to date. This effectively gave 352,512 pixels to play with, with every individual pixel, in its own unique location, becoming a piece of the full 3D image. 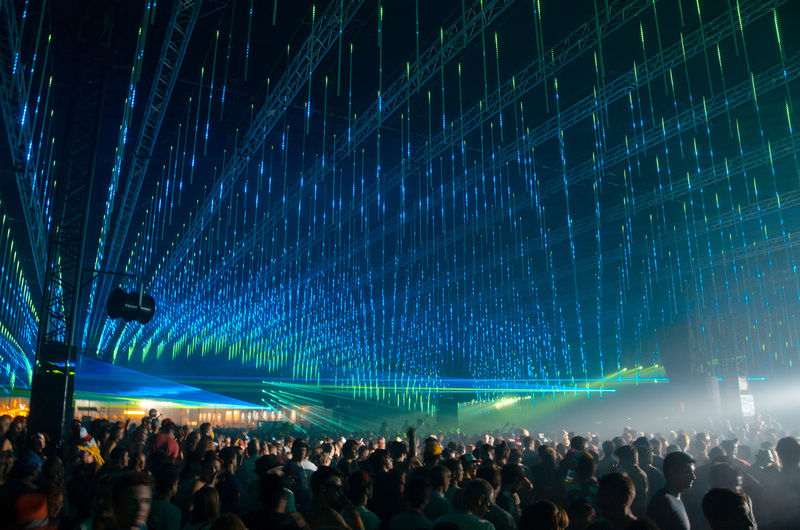 The operators were then able to program changes in colour, speed and 3-dimensional animations to create the fabulous effects witnessed by the party-goers. The effects were then duplicated across two zones outside the Boiler Room. 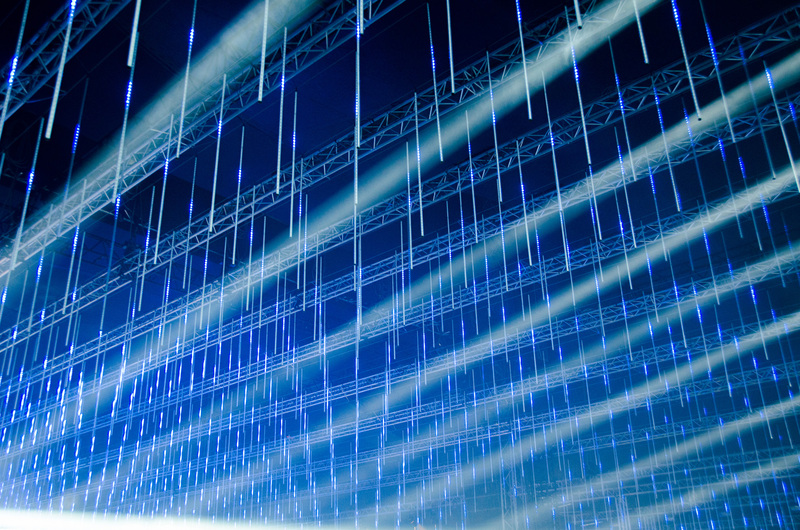 The pixelmapping was streamed over ArtNet which has a theoretical limit of 256 universes of DMX. However, the immense number of pixels involved (352,512 pixels in the main Boiler Room and a further 176,256 pixels in each of the two exterior zones) required a total of 500 universes. 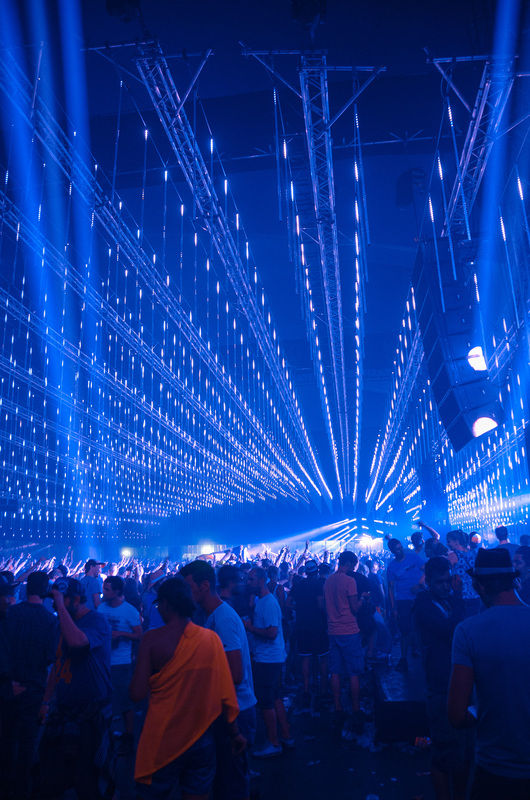 The decision was therefore made to divide the universes between the three ArKaos Stage Servers, two of them running 160 universes each and the third running 180 universes. 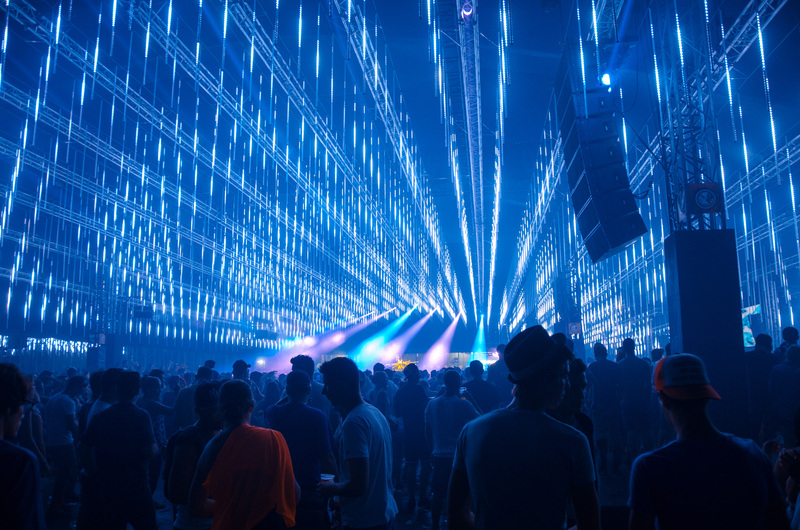 In addition to the spectacular ceiling, the Boiler Room - which also became one of the 8 show stages for the entire festival - proudly displayed an LED video wall behind the on-stage DJ booth. 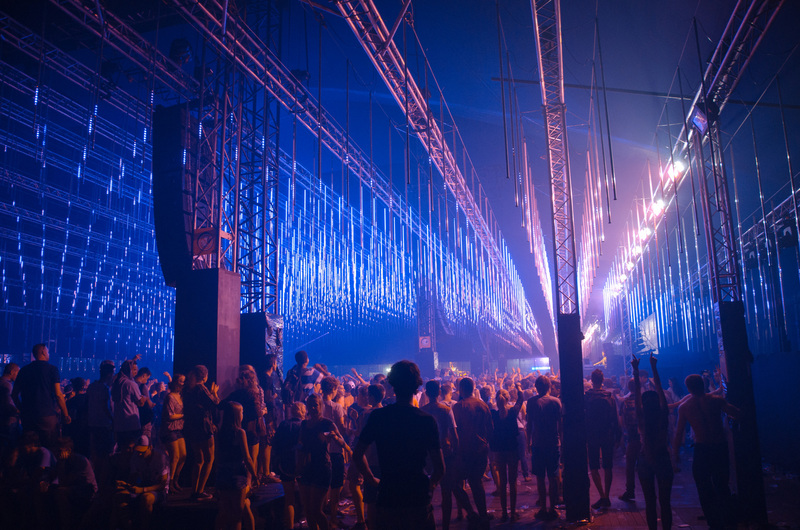 Here people continued to party from 11am to 4am daily beneath, and in front of, one of the largest show elements of the festival. 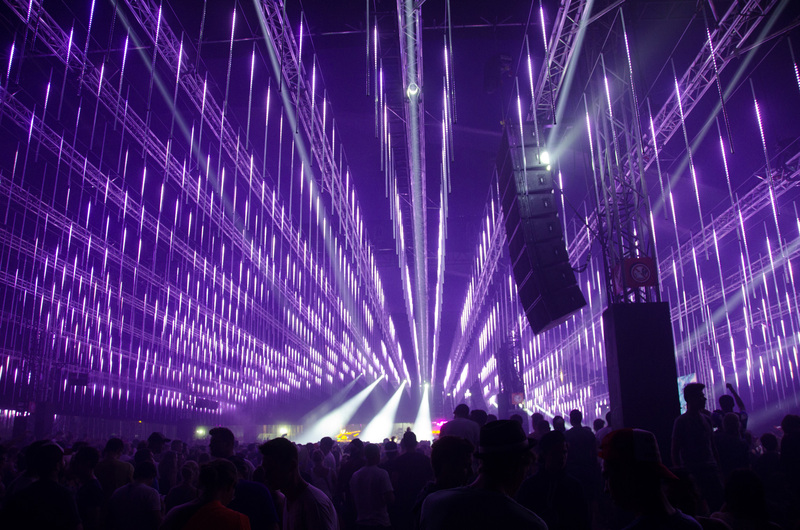 The DJ’s LED video wall was animated using a fourth ArKaos Stage Server playing custom video content provided by Arf & Yes. The four Stage Servers were synchronized using a Chamsys MQ100 desk with a side wing purely dedicated to the video operation. A second Chamsys MQ100 and wing were used to control the lighting. 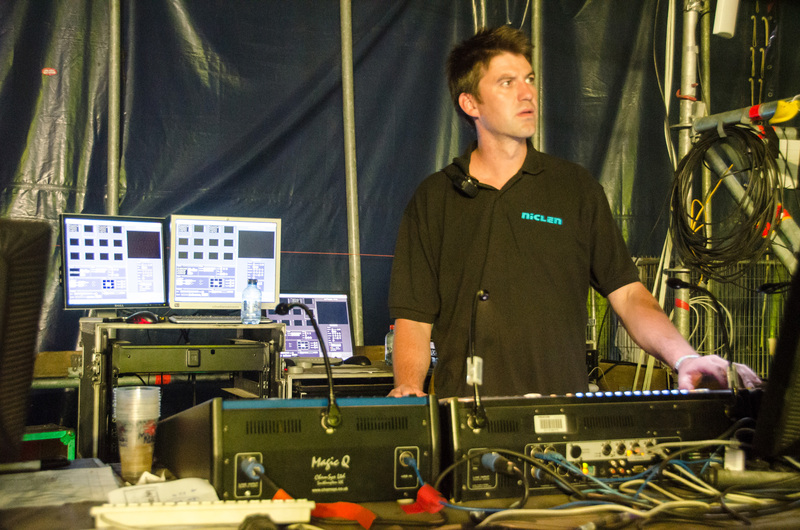 All ArKaos, SGM and Chamsys equipment was supplied by PRG EML Productions, and installed and programmed by Arf & Yes operators, Timothy De Mets and Jonas Weyn.